Goldfish, like other fish, require oxygenated water to survive. If a goldfish outgrows his tank or there isn’t enough water flow, he may not be getting the oxygen he needs to live a healthy and happy life. 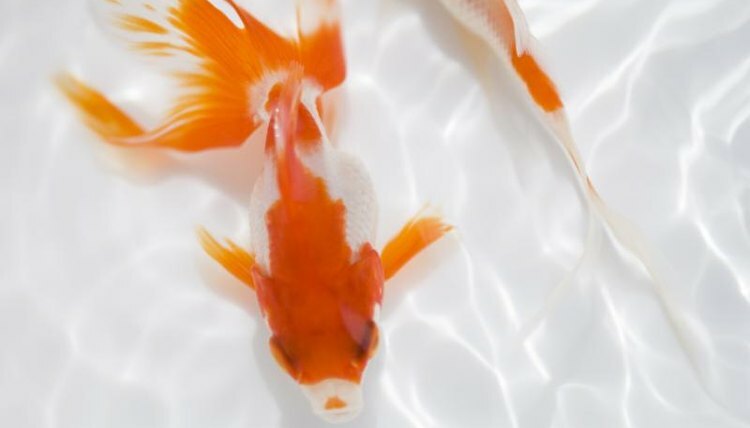 A properly set up goldfish tank will feature a device for creating movement on the surface of the water, which encourages gasses to rise from the bottom for your fish to breathe. Certain behavioral cues indicate that your fish is in need of more oxygen. Set aside a few minutes to watch the behavior of your goldfish. Pick a time when your goldfish is normally active. Watch the goldfish as he swims in his tank. A goldfish in need of oxygen will repeatedly swim to the surface of the water and gulp for air. Agitate the water in the tank by gently stirring it with a clean plastic spoon. Let the water settle and watch your goldfish again. If he stops gulping at the surface, adding a pump to increase water flow should resolve the issue. If not, you may need to change the water or invest in a bigger tank.